I can’t believe it’s already December! Time flew by so fast that I didn’t notice my November came in and out so quickly. Maybe it’s because I was too busy the last few months with my wedding preparation. So now that our wedding celebration is over, it’s time to face all my Christmas duties! I feel that I have to rush with my Christmas preparations which I purposely delayed so I could focus on one event at a time. We all know that Christmas is a really joyous event in our country. Ask any OFW, and they’d want to come home and celebrate Christmas here. They would tell you how warm Christmas is received in every Filipino home. Seasonal food comes out like puto bumbong, bibingka and also macaroni salad. Christmas here is a time we look forward to because it’s all about spending precious time with your loved ones. 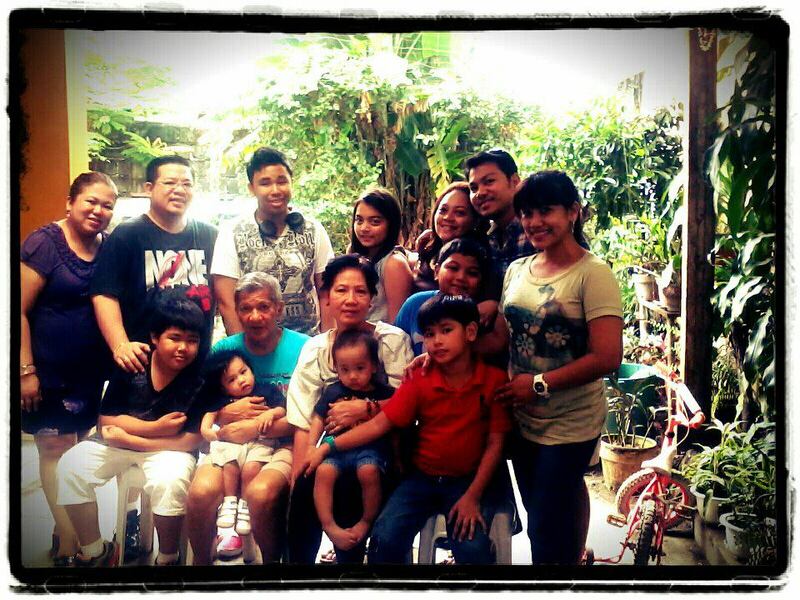 That’s why, family reunions are organized here and there to celebrate one of the most awaited event of the year. To find a common schedule for all. Having families of our own, we have to agree if we would celebrate either on the 24th or 25th. It’s usually my task to call everyone to know their availability. To assign each family what to bring. Renting a place is not practical as the money we’re going to pay the restaurant or function room could just be spent with food for sharing. Pot luck is always the name of the game. After finding out common schedule for every family, I also am tasked to assign each family what to bring. Who brings a pork dish? Chicken dish? Pasta? Desserts? Drinks? Macaroni Salad? To prepare games or entertainment. Thanks to my mom who enrolled me in singing lessons when I was younger. I usually host the activities or sing while Macky plays the guitar. Our favorite activities or games usually are: Pinoy Henyo, Charades, Exchange Gifts, and of course, raffle! To whip up a delicious bowl of everyone’s favorite rich and creamy Lady’s Choice macaroni salad. Oh yes! Even if mom’s not around anymore, parang andun pa rin siya because we could still taste the same rich and creamy taste of her macaroni salad. She passed on her recipe to me that’s why, every year, this has become my assignment. Our family bonds over the special macaroni salad because we’re reminded of her, parang kasama pa rin namin siya. 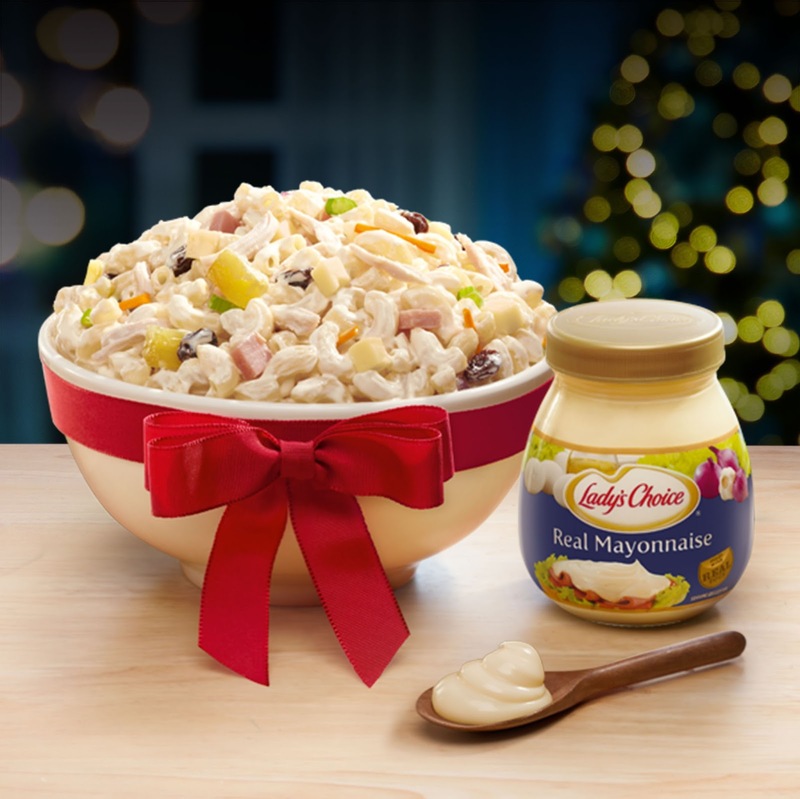 Hence, her Lady’s Choice macaroni salad has become the star of the Christmas table which makes our Christmas reunions more special. For me, it’s not how many tasks I do every Christmas reunions. Kahit dagdagan pa ng 10 more tasks go lang. The important thing is, sama-sama ang pamilya kapag Pasko, dahil mas masarap talaga kapag sama-sama. Even if we’re no longer complete, we’re thankful that there’s always something that reminds us of my mommy, yung special Lady’s Choice macaroni salad recipe niya. How about you loves? Are you already excited for the Christmas family reunions? What tasks do you have? Do you also have a special recipe na star ng reunion niyo like our Lady’s Choice macaroni salad? Do share!